PRICE REDUCTION! 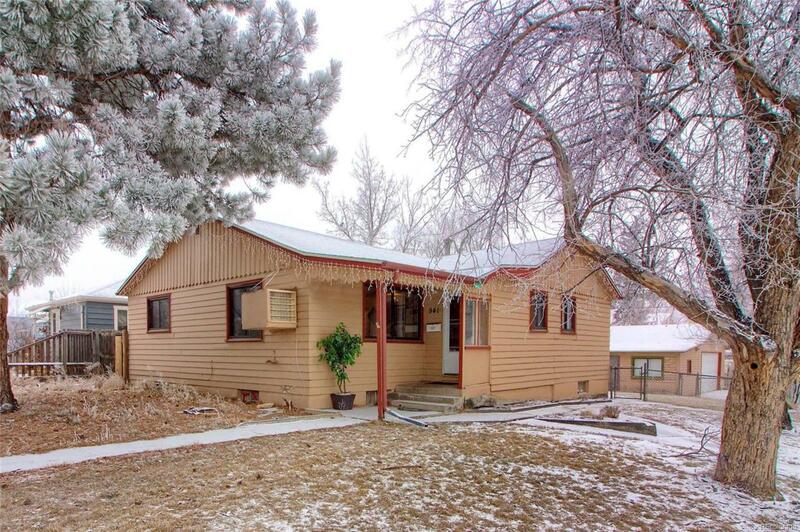 3 bedroom ranch with finished basement on a large corner lot. Priced to sell- motivated seller! House needs updates - great opportunity to add value and build equity. Open kitchen leads into eat-in dining space. Spacious living room and dining room with hardwood floors. 3 bedroom and full bathroom on main floor. Basement features 2 large great rooms with kitchenette and private entrance. Could be used as a mother-in-law suite or similar opportunities. 3/4 bathroom and laundry/utility room complete basement. Newer roof (2015). Large fenced-in yard. Detached 2 car garage with attached covered space and storage room. Alley access. Great location- short drive to Anshutz hospital, Lowry shops & amenities.